The sun’s ultraviolet rays are a major contributor to the fading of draperies, carpets and storefront display items. That’s why you need The Trim Company Solar Tinting window films. They reject 99 percent of the sun’s harmful and damaging ultraviolet light, helping to prolong the life of your furnishings and valuables. 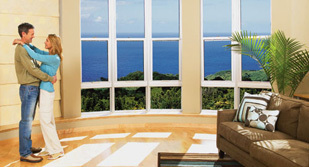 We have the solution to all your Atlanta residential window tinting needs! Our standard 2 mil films provide an increased measure of shatter resistance to windows and glass doors because the film and its special mounting adhesive helps hold glass fragments in place. 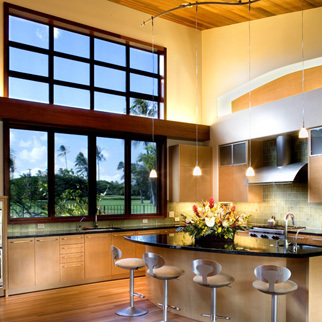 However, if safety and security are paramount concerns, The Trim Company Solar Tinting offers a series of tough, shatter resistant window films available in 4 to 14 mil thickness. We have the answer to all of your home window tinting Atlanta needs! Regardless of architectural design, our window films installed on commercial buildings are the most cost-effective way to rejuvenate a property’s exterior appearance. A variety of shades, colors and performance levels are available and can easily be coordinated with a property’s interior or exterior for a more contemporary look. When we install your window film, all Madico films come with a limited life time manufactures warranty for residential installations and a 2 or five year superior glass and seal warranty. All Sunscape Select films come with a limited life time manufactures warranty and 5 year glass breakage and seal failure warranty. Natural light can permanently fade your furnishings and belongings. Madico window films block almost 99+% of these harmful UV rays. Madico standard films offer some of the best quality as well as versatility for whatever your window films needs may be. Your family and home are the most important things in your life, so it’s important to do everything you can to protect them. Read the Madico Warranty Here. Madico designed its lineup of SunScape Select products including, Designer Gray, StarLite and Soft Bronze to complement virtually every architectural style. From cozy colonials to chic contemporaries, SunScape Select films protect a home's interior while reducing glare and energy costs. Read the Sunscape Warranty Here. Solar tinting can increase the energy efficiency of a standard dual pane window in many instances while reducing energy cost and do it for 1/3 the dollar cost of a newer window installed! We are trained professionals when it comes to window tinting. With so many choices available, it's important that you consult with our certified SunScape Select sales person to help you choose the product that's right for your home and family. With their knowledge they will guide you through the selection process until you arrive at a film that looks and performs exactly the way you imagined. 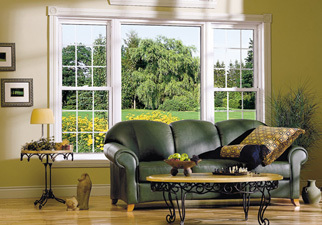 Contact the Trim Company today, the residential window tinting Atlanta experts! Managing All our Atl Window Needs. We are proud to have served the Atlanta Area since 1982. Our window tinting products and window tint installation services are second to none!